Oh you bet! The good times are definitely rollin’ in good ol’ Fernietown! The weather has been extraordinary and the fun we’re having just never seems to end! Why should it? Life is too short to sit around wondering whether or not you should come to Fernie…..just do it! You won’t regret it and once you’re here you may never leave! I have encountered many locals who once upon a time came here for a holiday and have been living here ever since…they never left! Fernie has an enigmatic personality…it draws you in and before you know it, as baffling as it may be, you’re moving into your new home! Now I have been coming to Fernie for over 20 years to visit my sister and 2 summers ago I found myself at a crossroads in my life and I spent the majority of that summer driving between Fernie and Vernon (my hometown). Finally my sister asked why on earth I didn’t just move here and by gum, without hesitation, I did! Best decision I ever made! This community has become so dear to me heart that I doubt I shall ever leave! I love my job and to that end, I love to participate in many community events on behalf of Fernie Lodging Company. Most recently I was on a team in the Golf Fore the Cure tournament which is a fundraiser for breast cancer research. It was a fantastic event at Fernie Golf and Country Club where 18 teams of crazy women dressed in various shades of pink and golfed their hearts out! Our team, of course, went above and beyond and dressed in an Hawaiian theme complete with pink leis, pink flowers in our hair and even a few coconut shells adorned with tropical blooms! Once again this wonderful little town pulled together, donated many amazing draw prizes, silent auction items and of course cash donations and raised close to $8000. In my last post, I talked about my hikes this summer thus far…I can now add two more! A few weeks ago, we hiked Mount Fernie, over the backside, through Windy Pass and down to Island Lake Lodge (7.5 hours, 16kms) where we rewarded ourselves with icy cold beverages on the Bear Patio; this past weekend we hiked up Cabin Ridge Trail, Cabin Bowl, saw Orca Rock up close and personal, scaled Big Steep Mother (aptly named) and along the ridge (quite narrow in places), then down to Lizard Lake and eventually back to the valley (6.5 hours, not sure of distance but trust me, it felt like at least 25kms!). Sitting atop the highest peak we climbed, enjoying lunch with good friends, was truly one of the most extraordinary moments in my life…breathtaking really. I hope you can all experience it some day! How lucky am I to have such a playground out my back door! We have a great “Escape to Fernie for August Long” special on our Facebook page so check it out and come out for a visit this weekend! We have other great getaway deals running all summer…perhaps coming out for the Wapiti Music Festivalthe August 9th and 10th weekend is more up your alley. Whatever dates you choose, I guarantee you will have the best time ever and who knows…you may never leave! Of course you know that following summer and a short autumn the snow flies and off we go on another epic ski season! We are already busy taking winter bookings…don’t procrastinate and miss out on a Christmas or New Year’s Fernie holiday! Call now! Let the good times roll in Fernie BC! 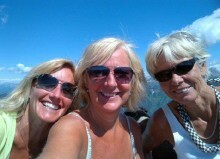 Photo: Happy girls high atop the mountain peak! Can you believe this weather? Of course you can! It’s Fernie, after all! Where else do an azure sky, a golden sun, majestic Rocky Mountains and a mighty river come together and showcase a beautiful little town? Nowhere! That’s why I live here! I cannot wipe the smile from my face and you will be hard pressed to find a frownie Fernieite! We are all just generally happy with a penchant for the great outdoors and all it has to offer! In the past 2 weeks, I have hiked Fairy Creek Falls and Polar Peak, I have biked numerous trails (my claim to fame definitely Swine Flu) and I have golfed weekly with the ladies…oh, did I mention I work full time? I was at the finish line of the Trans Rockies Wild Mountain Fernie Ultra & Enduro cheering on the athletes as they crossed the finish line after a grueling 80km trail running course, I attended the July 1st festivities and I played with the thought of entering a team into the recent Mudd, Sweat and Tears 5k & 10k obstacle course mud run events of extreme proportion atFernie Alpine Resort….but felt it was perhaps better as a spectator sport….for this year anyways! Oh and tonight? Yup….busy again…throughout the summer you will find me attending the Wednesday Night Concert & Market Socialdowntown Fernie outside the Arts Station! Live music, mountain market and refreshment garden! This weekend we have the Lost Boys Lungbuster Hill Climb (yes, a spectator again), the Sunday Downtown Summer Social and Mountain Market at Rotary Park and endless trails to explore either running, hiking or biking. Have you checked out the Lizard Range Disc Golf Course? Frisbee Golf is fun for everyone and conveniently located in James White Park. It’s a par 54, 18 basket course that can entertain all ages and abilities. Want to cool down? Check out the new Outdoor Water Spray Park at the Fernie Aquatic Centre! Fernie has one lake within the town called Maiden Lake and is a popular little place to swim, go for a walk, bike or even bird watch. With a sandy beach at one end, families gather in the hot summer sun and build sand castles or sit on the pier and catch minnows. Other lakes within a 30 to 40 minute drive include Surveyor’s, Koocanusa, Tie and Silver Springs. Tired yet? I bet you are! Now’s the time to head back to your suite at the base of the resort….nestled amongst King Firs and Blue Spruces! Take a swim in the pool, soak in your private hot tub and enjoy the last few rays of sunshine. The peace and tranquility of staying in one of our properties will likely be the most therapeutic thing you’ve done for yourself in a long time….well, you could book an appointment in our Spa for a Facial, Hot Stone Massage or a Harmony Package just to put the icing on the cake! Now as much fun as I have been having of late, we at Fernie Lodging Company have kept those affected by the recent flood both in Southern Alberta and right here in the Elk Valley in our thoughts and hearts. If you need to getaway from it all, call us… Bike & Stay Packages, Summer Getaways and King Fir Spa Specials abound – there is also a savings if you book via our website. 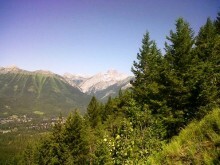 Love Fernie in the Summer! https://www.fernielodgingco.com/wp-content/uploads/2013/04/logo_white.png 0 0 Vacation Login https://www.fernielodgingco.com/wp-content/uploads/2013/04/logo_white.png Vacation Login2013-07-10 21:44:542017-04-06 13:28:06School’s Out and Sweet Summertime in Fernie BC Is Where It’s At!! So here we are at the end of June already! Seriously? What the dickens happened to May? Wow…time flies when you’re having fun and here in Fernie BC there is no end to the fun! Isn’t it time you came for a visit to find out exactly what I’m talking about? Oh you bet! I think you need to see for yourself that I’m not just spinning the yarn! You know….telling a tall tale….no fish stories here…oh wait! Fish stories? Why yes, as a matter of fact there are fish stories! Fly fishing opened on the Elk River June 15….we have incredible fishing and some of the best fishing guides you’ll find anywhere! Just imagine yourself in a drift boat, floating down the river…reeling in the “big” one! Give any one of these renowned companies a call: Elk River Guiding Company, Fernie Wilderness Adventures, Kootenay Fly Shop and Guiding Co. or Fernie Fly Fishing. You won’t be disappointed! In all honesty, I can’t imagine anyone being disappointed when visiting our beautiful little piece of heaven! There is always something to do…on your own, as a couple, with your friends or your entire family…Fernie is truly where you want to spend some quality time this summer! Whether it’s playing in the new Outdoor Water Spray Park at the Fernie Aquatic Centre, hiking to the highest peak, golfing 18 at Fernie Golf and Country Club or mountain biking our incredible trail system….why would you want to go anywhere else? Fernie Alpine Resort has their preview weekend coming up in their bike park and then their official summer opening is June 29! Have you tried their Rippin’ Zip Line? How about the Aerial Park Adventure? Really? You haven’t? Well it’s high time (no pun intended) you did! I had so much fun last summer it was hard to keep me away! Who knew I was such an adrenalin junkie? Jumping, twirling, hanging, climbing, stretching….it was absolutely awesome! They’ll be open 7 days a week…no excuses!! You can also treat yourself to a scenic chairlift ride, guided hikes and tours and lunch atop the mountain at Lost Boys Café…and keep your eyes open – you may be lucky enough to see certain members of our local wildlife! Island Lake Lodge has some incredible hiking trails to offer…a gentle stroll around the lake or head out on one of my favourite trails – Spineback. It is a 3 – 4 hour round trip and highlights not only sub-alpine meadows but also an incredible marine fossil field (including horn corral fossils) so keep you eyes open and your geology book out! Once back down to the beautiful lodges, head to the Bear Lodge Patio where you can order a cold, refreshing beverage and some of the tastiest food in all the land!! Better yet, stay for dinner and enjoy the French inspired Rocky Mountain cuisine in the Ancient Timbers Dining Room…you won’t regret it…trust me!! Now here is an offer I don’t think you could possibly refuse! Hot off the press! Your Summer Getaway awaits you and where better to stay? The Timbers, of course! It’s an executive 6 bedroom log home and sleeps up to 17! Stay 7 nights and only pay for 5. Yes you read that correctly – 2 FREE nights!! Check out these other great deals – King Fir Spa June Special or ourBike & Stay Package. Call us now and let us make your summer dreams come true! https://www.fernielodgingco.com/wp-content/uploads/2013/04/logo_white.png 0 0 Vacation Login https://www.fernielodgingco.com/wp-content/uploads/2013/04/logo_white.png Vacation Login2013-06-30 21:42:332015-10-13 09:22:13Before the Summer Gets Away From You.....Make Plans to Come to Fernie BC! Well, another long weekend for the record books…and what a weekend it was! With very little precipitation, Mother Nature fired up her golden ball of sunshine and kept us smiling as we enjoyed all the outdoor activities Fernie has to offer. Whether it was hiking, biking, golfing or merely strolling along the river, Fernie was a hub of activity for the Victoria Day weekend. The restaurants were full and the shops in our historic downtown were abuzz! You know the great thing about long weekends? Your following work week becomes 4 days long and everyone seems to be in a great mood!! They’ve had that one extra round of golf; challenged their biking skills on Swine Flu or Hyperventilation; checked out Castle Mountain or Mt Fernie hiking trails…thank you Queen Victoria for reigning 63 years and 7 months (longer than any other British monarch and the longest female monarch in history) and giving us a holiday to honour you on! Praise the Victorian era! So although it was back to work yesterday, I was excited because I had decided to partake in the Ladies Day Opening Special after work at the Fernie Golf and Country Club. What a great evening! I played 9 holes and had a delicious 3 course meal all inclusive (that’s what ‘specials’ are all about)…didn’t win any draw prizes but how much fun did I have!! The three ladies I played with were hilarious and somehow we managed to finish our round through gales of laughter that resounded across the golf course – oh and we played well! No really!! It was my first swing of a club this year and I was on fire! The course is in fantastic shape and was a delight to play. So there you go…all you gals out there who want to have some fun and play on our championship course…every Tuesday is Ladies Day and you can go for 9 holes or 18 holes and tee off in the morning or the afternoon. I will be teeing off in the afternoons and if you want to have a whole lot of fun, I encourage you to join me! Call the Pro Shop to sign up and keep an eye out for some of the ‘specials & events’ throughout the summer! In fact, why don’t you call your gal pals, load up the car and head to Fernie for a couple of nights mid-week and we’ll put together a Stay and Spa Package just for you! Give us a call and we’ll set you up in a 1 bedroom Platinum condo or a 2 bedroom Platinum condo with your own private hot tub. How about a quaint little log cabin nestled in the trees? We’ll book you a relaxing 1 hour massage at King Fir Spa…all starting at $99 per person (accommodation and spa). We can also book your round of golf for you because that’s what we do….we make your vacation dreams come true! Fernie, BC is one of Canada’s most amazing, picturesque playgrounds ever and we want to share it with you…come play with us! We’ll welcome you with open arms….we’ll show you all the fantastic things to do and we’ll be sure to get you the best deal on lodging…whether you’re only 2 people or a few families wanting to spend some time together. 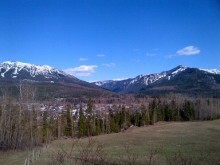 When It’s Springtime in the Rockies, You Need to Head to Fernie BC! These past few days have been absolutely spectacular in our neck of the woods! Bright blue skies, warm sunshine drenching our winter-laden bodies…the mountains are so regal…still draped in their capes of white. The birds are twitterpating, the squirrels are loudly scolding anyone who passes by their humble abodes too close in proximity and the bears are groggily making their way out of hibernation. I actually encountered a somewhat woozy bruin on my bike ride the other day. There he was, grazing away on the fresh green clover alongside a rather steep trail I was endeavouring to conquer. Now, I had some pretty good momentum going, and I did consider stopping to take a picture, but the thought of getting started again on this dreaded incline was enough to put me off of my desire to become a professional wildlife photographer! As I drew closer to this furry fellow, he lifted his head and we had a bit of a stare down…I didn’t break eye contact and then when I was within about 30ft of him, I raised my voice and proclaimed loudly, “Hey buddy – what are you lookin’ at?” To which he cocked his head to one side as if to say, “Certainly not you!” and went back to his tender green morsels. At that point I pedalled like I’ve never pedalled before, shot past him and made it to the top in record time with nary a scratch! Good grief…that was one heck of a cardio workout! I don’t recommend it….but I do love a little adventure in my life, much to the chagrin of my children. I think they sometimes have a hard time believing I’m actually their Mother! Speaking of Mothers…Mother’s Day is coming up…what are you doing for your Mom? Why not treat her to a day at The King Fir Spa? They are running 5 great deals for under $100 each! From rejuvenating facials to a foot soak and scrub followed by a relaxing massage, let them take care of your Mom on her special day…hope my kids are reading this!! But wait! That’s not all! Why not delight your Mom (and maybe Dad) to accommodation as well! It’s going to be a beautiful sunny weekend…the outdoor swimming pool is ready for business and we have a plethora of suites available! If you book anything in the Spa, you will receive a 10% discount on any accommodation for a 2 night stay this weekend! The code word? Mommy Dearest! Fernie is definitely ‘Spring’ing to life…the golf course is open, the single track trails are drying out beautifully and the fishing has begun! What are you waiting for? Come visit us and let us share with you the place we call home…Fernie, BC….the best little coal town in the East Kootenays! Let us plan your vacation – it’s what we do! https://www.fernielodgingco.com/wp-content/uploads/2013/04/logo_white.png 0 0 Vacation Login https://www.fernielodgingco.com/wp-content/uploads/2013/04/logo_white.png Vacation Login2013-05-07 21:35:442014-07-03 21:37:05When It’s Springtime in the Rockies, You Need to Head to Fernie BC! Well Fernie…Another Stellar Season Under Our Belts! And….that’s a wrap! That’s all she wrote! Done and doner! What a closing weekend! With fresh powder both Saturday and Sunday, the 2012/2013 season went out with a bang! The festivities got underway with the Powder, Pedal, Paddle event on Saturday morning followed in the afternoon by a fantastic rockin’ concert by legendary Canadian rock n roll band Chilliwack. Although it dumped snow the majority of the concert, fan spirit was not dampened…enthusiasm and fist pumping carried on for the full 2 hours! What I found most amusing was that many of the younger generation had no clue who Chilliwack was but when they started singing one of their big hits I heard a resounding, “This song is Chilliwack’s? I totally know this song! Amazing! Love it!” echoing around me. The celebrations carried on into the wee hours of the morning while the snow continued to fall and those who were able to get up to the hill first thing were treated to clearer skies and another 25cms of freshness. The 2nd Annual Slope Soaker went with out a hitch Sunday afternoon and the party continued into the plaza with Shred Kelly doing what they do best…helping everyone get their dance on! Thank you Fernie Alpine Resort, not only for a fantastic season but also for a closing weekend no other resort could possibly match! So…what’s next? Well, the snow for the most part has vanished from town and valley trails along the river are ready for walking, running and biking. Time to brush the dust off the bike, take it in for a tune up at any of our fine bike shops in town including The Guide’s Hut and Gear Hub and start training for those beloved single tracks! Shouldn’t be too long of a wait! What’s that now? You’re new to mountain biking? You already bike but you want to improve your skills? Why not check out all the Bike Camps offered through Fernie Bike Guides? Women’s “Spring Into It” Weekend is the one I joined last spring and what a blast! Great coaches, fabulous instruction, made new friends for life with the other women and even provided some comic relief as I shot over the handle bars…not once, but twice! I really want to do it again this year because it was just so much fun and there is always something new to learn, let alone increasing one’s confidence. There are numerous other camps throughout the spring and summer including Father’s Day – Single Track Mind (Mine!) and Kid’s Bike Camp. If you just need a weekend getaway, why not come for a visit? How about a little live theatre? As I mentioned in my post last week, Steel Magnolias opens Thursday night at 7pm and also runs Friday and Saturday night at the Arts Station. Come and see 6 local women portray the star-studded female cast from this 1980s comedy/drama. Directed by Denise Baughan, you’ll see Virginia Robinson as Truvvy, Liza Garren-Toth as Annelle, yours truly (Heather Boyd) as Clairee, Shelby Knudsen as Shelby, Sandra Summerfield as M’Lynn and Lynda Bird as Ouiser. Call us now for a 10% discount on your accommodation for the weekend and then book your theatre tickets on line. We’ll even set you up in a nice cozy condo with your own private hot tub with access to the heated outdoor swimming pool. https://www.fernielodgingco.com/wp-content/uploads/2013/04/logo_white.png 0 0 Vacation Login https://www.fernielodgingco.com/wp-content/uploads/2013/04/logo_white.png Vacation Login2013-04-15 21:34:282015-10-13 09:19:42Well Fernie…Another Stellar Season Under Our Belts! Although Winter is Winding Down, There is Still A Reason to Come to Fernie, BC! Well…it’s true…I can’t quite believe it myself, but here we are in our final week of winter operations! Where on earth did this season go? I’m sure it was just last week that we opened….I guess time flies when you’re having fun! Speaking of fun, have you ever checked out the final weekend at Fernie Alpine Resort referred to as Fernival? What? No? Are you kidding me? Why not?! Well it is time you experienced it! An exciting activity to take in on Saturday April 13 either as a spectator or a participant is the Raging Elk Powder, Pedal, Paddle Relay which has been going strong since 1984. Individuals or teams of 2 – 5 people ski, bike, paddle and then run in a relay race. This is followed up by a big party in the Plaza where you’ll find a FREE concert and you won’t believe who is taking the stage….are you ready for it? Chilliwack! You know who they are….a Classic Canadian rock band known best for “My Girl”, “I Believe”, “Whatcha Gonna Do”, “Fly at Night” and “Lonesome Mary” which were all released during the 70s and 80s! I will most certainly be there…likely in the “refreshment garden” so come and join me for some good ol’ rock n roll!! 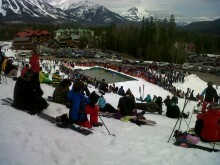 The festivities continue on Sunday, the final day of the 2012/2013 winter season, with the 2nd Annual Coca Cola Slope Soaker. Last year I was having so much fun watching it that in a weak moment I may have mentioned to my brother-in-law that I was going to enter this year and he has not let me forget my declaration! Participants are encouraged to dress up in creative costumes as crossing the ice cold pond is not the only goal. Extra prizes and points will be awarded for creativity/costumes, effort, crowd reaction, biggest splash, etc. Plus all the registered participants are entered in for amazing draw prizes from the sponsors!! 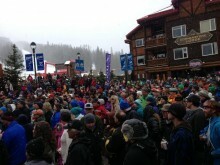 What a great event to finish off yet another epic season at Fernie Alpine Resort! I’m still trying to back out of it and it is proving difficult although I do believe I have come up with a fantastic excuse! Who likes live theatre?? Well, then you’d best come back to Fernie April 18, 19 or 20 and take in the stage production of Steel Magnolias at the Arts Station! I am lucky enough to have landed the role of Clairee Belcher and therein lies my reason for not entering the Slope Soaker…if I were to come to grief in this exciting event, it would most certainly hamper my ability to deliver an award winning performance, don’t you think? So come to Fernie to broaden your horizons, expose yourself to a little more culture and support the arts in our beautiful little community. How ‘bout this….I would like to offer you a 10% discount (minimum 2 night stay) on any of our properties if you come to see the play…whether it is one of our Snow Creek Log Cabins nestled amongst the trees, a condo suite at Timberline Lodge or a townhome at Polar Peak Lodge. You’ll have access to the swimming pool, public hot tubs or even your very own private hot tub! Just give us a call, mention you want to see me…I mean the play…and we’ll give you a wonderful weekend getaway. Tickets for the play can be booked on line…don’t delay…I’m sure it will be a sell out! https://www.fernielodgingco.com/wp-content/uploads/2013/04/logo_white.png 0 0 Vacation Login https://www.fernielodgingco.com/wp-content/uploads/2013/04/logo_white.png Vacation Login2013-04-08 21:33:132017-04-06 13:29:00Although Winter is Winding Down, There is Still A Reason to Come to Fernie, BC! Good grief…where the dickens did February go? I haven’t posted since January! How did that happen?? Oh wait…I know…I’ve been skiing, skiing, skiing! 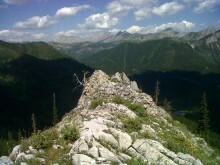 That’s what we do here in Fernie…enjoy the great outdoors to its fullest extent…why wouldn’t we? We are blessed with magnificent mountains blanketed in epic powder snow….Fernie Alpine Resort, Island Lake Catskiing and Fernie Wilderness Adventures located a stone’s throw away….how lucky are we? Each one of them offers something a little different. 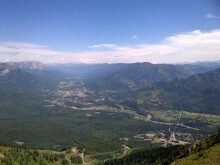 Fernie Alpine Resort is a gem of a ski resort located in the Lizard Range only minutes from the town of Fernie, BC. Celebrating 50 years last season, it is particularly known for its high annual snowfall, purportedly the highest of any resort in the Canadian Rockies. It is also extremely famous for its powder skiing and offers 10 lifts, 142 runs and 10.1 sq km or 2500 acres of skiable terrain and 1082m or 3500ft of vertical. There are 5 legendary bowls – Siberia Bowl, Cedar Bowl, Timber Bowl, Currie Bowl and Lizard Bowl all of which offer some of the steepest and deepest anywhere! All of these facts contribute to Fernie Alpine Resort’s rating as one of the top 5 resorts in Canada. There are gentler slopes as well so whether you are a beginner, here with the family or into some extreme double blacks, you don’t want to miss out on this rocky mountain resort! Island Lake Catskiing is a backcountry resort located on 7000 acres or 28sq km of some of the most spectacular mountainous terrain anywhere! This resort, also minutes away from Fernie, British Columbia boasts high volumes of champagne powder and is a mecca for the ultimate powder hound. Currently they operate with three snowcats, handling a maximum of 36 guests who are able to book 2, 3, or 4 day tours. The guests are transported by snowcat from a staging area to their exclusive accommodation where they are treated to 4 beautiful log lodges surrounded by fir, spruce and old growth cedar trees. Known for its vast varied terrain with 800m or 2600 vertical ft, fine dining and friendly staff it has been rated as one of the best catskiing destinations in North America and is celebrating its 25th Anniversary this season! Fernie Wilderness Adventures was established in 1986 and is nestled in a nearby mountain range just southwest of Fernie Alpine Resort. It offers over 5000 acres or 21sq km of skiable terrain with a variety of ridges to commence your run of a lifetime…on the way down gliding through open chutes, gladed meadows and tree bands. Mother Nature is also generous with her snowfall for FWA, offering dry, perfect powder so whether you’re a powder veteran or a rookie backcountry skier/snowboarder, this could very well be the choice for you. They specialize in day skiing, so you’ll want to book your accommodation in downtown Fernie or even with Fernie Lodging Company which is located at the base of Fernie Alpine Resort. So there you have it! Point your skis/snowboards in the direction of this winter wonderland, this powder playground we call Fernie and experience it for yourself! You should be able to trust me by now….have I ever steered you wrong? I think not! We have some great spring specials right now so why not give us a call….cozy log cabin, fireplace, private hot tub, swimming pool…oh my…..seriously….call now! We can even point you in the right direction to book Island Lake Catskiing or Fernie Wilderness Adventures. You know, I go on and on about the skiing in Fernie and as you may have ascertained, I am an avid skier…my first boots were lace ups and my skis were wood with bear trap bindings. No, I’m not THAT old, but with 5 kids in our family…well, you get the idea….my parents were….thrifty. But that didn’t stop us….no sir! My brother Rob went on to race on the Canadian National Ski Team for 13 years, my sister Sue made the Canadian Freestyle Team and my sister Sandra raced on the BC Team. My brother Ian and I went more for the artsy music side but both of us loved to hit the slopes on any given day. Skiing is in our blood and my parents, now in their mid seventies are still skiing up a storm! As kids, we were forced to appreciate the great outdoors ….pretty sure Mum locked the door behind us when we ventured outside in the dead of winter. To that end, we discovered all sorts of other activities to keep us amused in our snowy playground….snowshoeing, cross country skiing, snowmobiling, tobogganing…you name it, we did it! Why am I telling you this? Because Fernie has so much more to offer than the incredible skiing that I am so passionate about. For instance, have you ever curled? Now although this isn’t outdoors, we just had our Après Christmas Staff Party and we rented out the Fernie Curling Club! What a hoot! Their volunteers were phenomenal – extremely patient and by the end of the evening we were all dreaming about competing in the next Brier or even the Olympics (note to self: wear flat shoes for future curling outings…heels and ice…not a good combo)! I will admit that my favourite part was the yelling…you’re allowed to yell, to shout…..HURRYYYYYYYYY!! Perhaps that’s a bit too much excitement, so let’s pull it back a bit and head out on one of the Snowshoe Trails for some peace, quiet and serenity. Book an interpretative Snowshoe Tour with Fernie Alpine Resort or pack a lunch and go out on your own and experience the wintertime bike trail system taking in the stunning views of the Lizard Range. In keeping with becoming one with nature, why not grab your Nordic gear and head up to Island Lake Lodge from their parking lot. Their Nordic trail will lead you into their pristine mountain wilderness – go for a loop around the lake, enjoy a delicious lunch, then ski back down the valley for your next activity – dogsledding! Adventure Source Dogsled Tours is who you want to book with! They have tours to fit everyone’s needs….you can learn to work your own team or be a passenger…this experience will leave you wanting to pack your bags and head to Alaska for the next Iditarod! You want even more of a thrill? Alrighty then…how about adding a little horsepower….I’m talking a snowmobile outing with Prestige Tours. They offer 2 hours of adrenalin and up to a full day with optional BBQ and campfire lunch or dinner. Speaking of adrenalin, Friday and Saturday nights you can bellow out your best Tarzan impersonation as you soar to new heights on the winter zipline at Fernie Alpine Resort. You see? There is just no end of the fun to be had in Fernie, BC. Come spend a few nights with us in one of our Polar Peak Lodges or one of our Timberline condos (check out our specials), do some skiing and then book as many activities as you can so that you can go home and announce to all that will listen…..this one time in Fernie I…. So…another holiday season has come and gone…how on earth did that happen? I’m sure it was just recently that I was sharpening my pencil to begin compiling my Christmas list! Oh dear…about that Christmas list….um….okay so I’ve got a good jump on next Christmas haven’t I! Apologies to my family…but at least I called on Christmas Day…didn’t I? Wow….awkward….!! Well, I hope that you all had a wonderful holiday season and if you didn’t get a chance to visit us in Fernie yet….what the heck are you waiting for? The snow is phenomenal right now…I’ve been skiing every weekend since opening day and it just gets better and better! I find it very therapeutic getting out there on the hill in the cool, crisp, fresh air…in fact I have had a few life changing epiphanies riding up the Boomerang Chair! I kid you not! My life is no longer clear as mud but as clear as the view from the top of the Polar Peak Chair today! 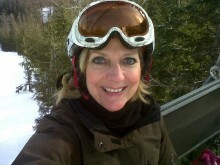 Onwards and upwards I say….skiing or snowboarding is so good for the mind, body and soul! I’ve been in the ski industry my entire life and I’m probably one of the happiest gals you’ll ever meet! It’s time to rise from that office chair, gather your friends, your family, even your dog….and head for the hills! There is no better time to book that perfect ski in/ski out cozy cabin with private hot tub for you and your 7 friends…or treat the family to a luxurious spacious condo, again with private hot tub and access to the heated outdoor swimming pool! If you book by January 31st we’ll give you 50% off your third night or we’ll give you your 6th night free (blackout dates apply). There are lots of great events coming up including the Kokanee Snow Dreams Festival and Avalanche Awareness Days. Come to Fernie and recharge your batteries! You really don’t want to have to use the jumper cables on yourself, do you? The longer you wait the less chance you have of reserving your perfect snowy winter getaway…do it now!